There will be a seventh and decisive game in the Calder Cup Finals. On Tuesday night, the Toronto Marlies missed a chance to clinch the AHL championship on home ice, falling 5-2 to the Texas Stars. Despite dominating the first period, a frustrated Toronto squad had trouble getting the puck past Stars goaltender Mike McKenna. Conversely, at the other end of the ice, Garret Sparks had a subpar outing, and was eventually pulled in the third period in favour of Calvin Pickard. McKenna was full measure for his 43-save effort in being named the game’s first star. He was flawless over the opening twenty minutes of play during which the Marlies outshot the Stars 16-4. The opening goal of the game was scored amidst some controversy. Martin Marincin was bowled over in the corner in the defensive zone, but no penalty was called. As play continued, Stars forward Curtis McKenzie was the beneficiary of a slot pass, and he tucked the puck behind Sparks to net his league-leading 11th goal of the playoffs, at 6:46 of the second period. Things went from bad to worse for the Marlies with just over five minutes remaining in the middle frame. Sparks fumbled the puck while attempt to make a breakout pass and Texas forward Justin Dowling took advantage. While Dowling missed a chance at the open net, Travis Morin made no mistake in depositing the puck into the yawning cage. Austin Fyten then extended the Texas lead by three goals after picking the pocket of Colin Greening for a breakaway, getting the better of Sparks. The Marlies finally showed signs of life in the third period when Calle Rosen fired a point shot through traffic past McKenna for the defender’s third goal in the past two games. But any momentum from that goal was squashed after Texas’s Sheldon Dries replied with a shorthanded breakaway goal, the back-breaker that ended Sparks’s night in net. Defenceman Justin Holl scored from a shot from the corner to McKenna’s left – almost from the identical spot as in Game One – to bring the Marlies within a pair. Nevertheless, Toronto’s forwards were held goalless. The Stars rounded out the scoring courtesy of Colin Markison into an empty net. 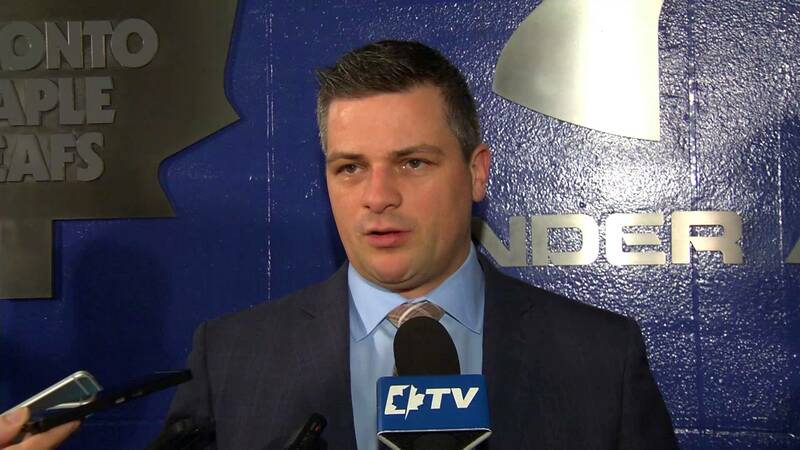 Coach Sheldon Keefe maintained his resolve, pointing to the adversity that the Marlies faced in their opening series versus Utica. “The reason why we are going to Game 7 is that neither team has been able to win two games in a row,” he said of the dueling teams that will faceoff on Thursday for the Calder Cup finale. A record crowd of 8,783 took in the game at Ricoh Coliseum.